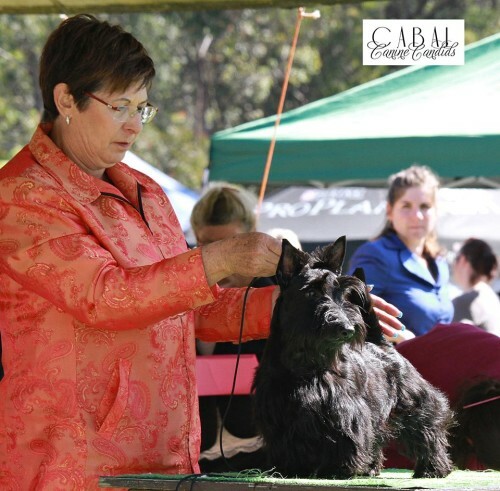 Achievements: Mavis at her first show came out and won Baby Puppy in Show in style also winning Baby Puppy in show at the Terrier Show in Adelaide under world renown Scottish Terrier Specialist Darle Heck (Canada) Pictured below. 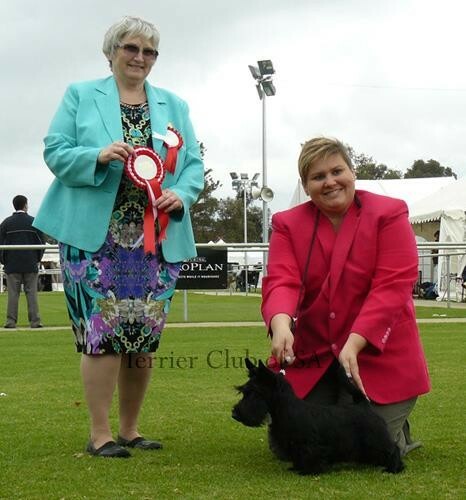 Once Mavis titled at 7mth she wasn’t shown as much as we were focused on Grand Championing Brodie. 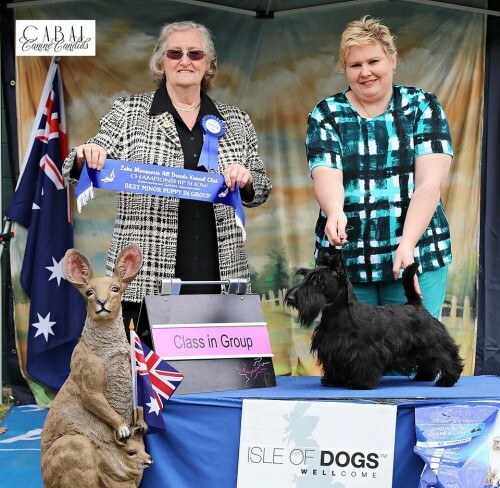 Mavis like her father has an amazing temperament loves to sleep on our pillows and grab at your feet while you walk. Her father was known to his friends as Tank, hence why Tank Girl- we chose Mavis from one of the Thomas the Tank Engines Profiles ” A feisty little diesel engine who is always getting herself into trouble and doesn’t listen to instructions” Suits her to a tee!